Emory University commissioned this batik for the President’s estate house. 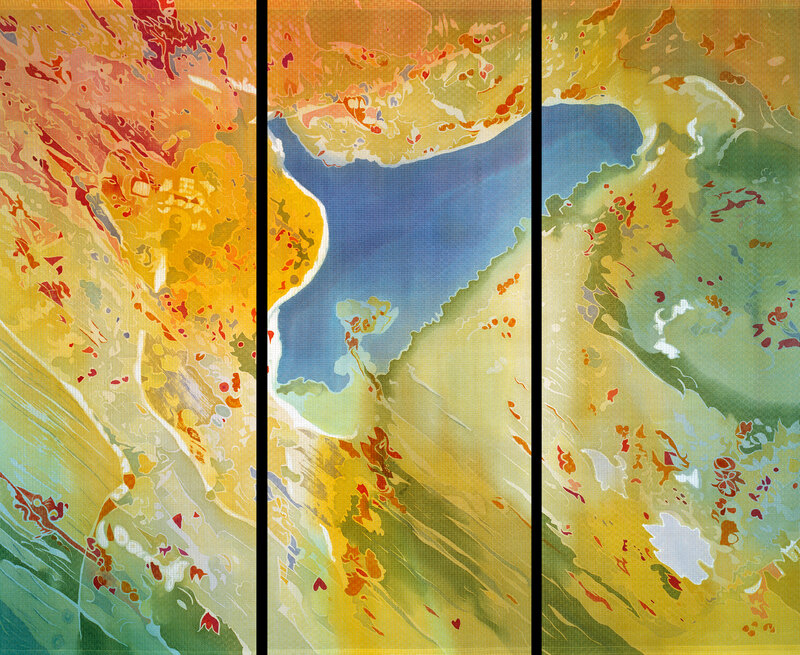 The 3 panels depict Lullwater’s forest and Chandler Lake in the midst of an urban environment. The silks feel like an English country garden tapestry appropriate for the residence designed in the style of the 16th century.